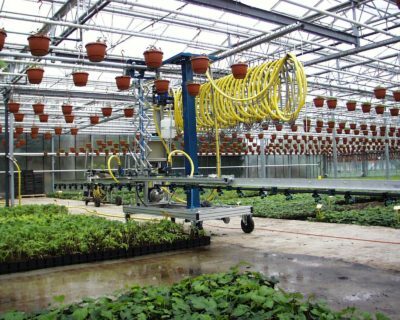 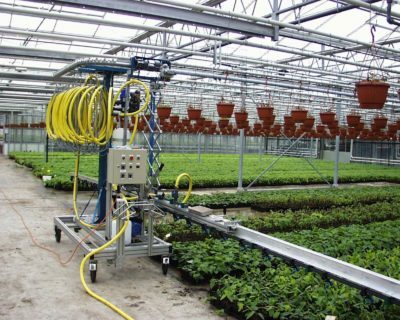 The Irrispray-SA/F is a mobile irrigation and spraying system which can be manually transported from bay to bay via the main isle. 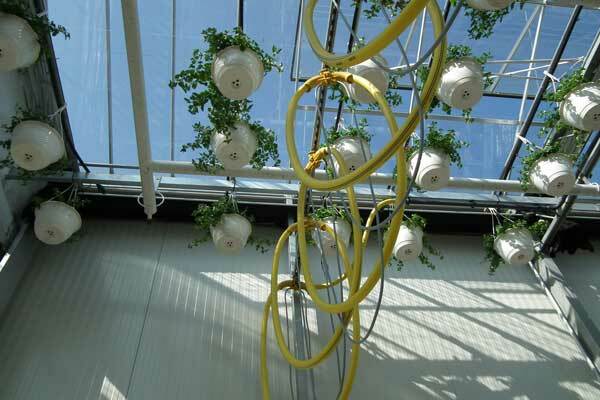 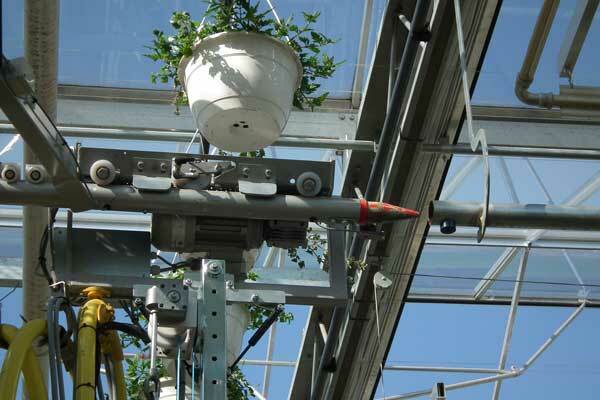 The height of the boom above the plants is adjustable. 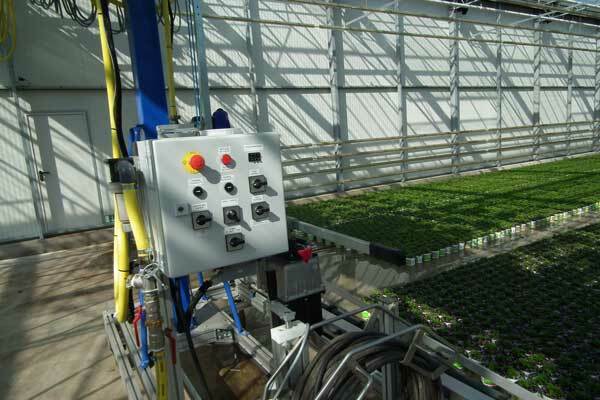 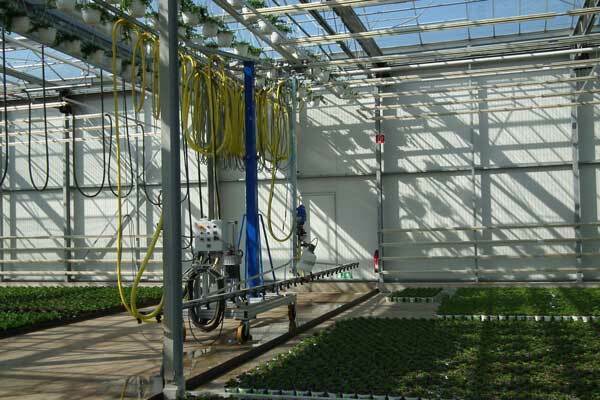 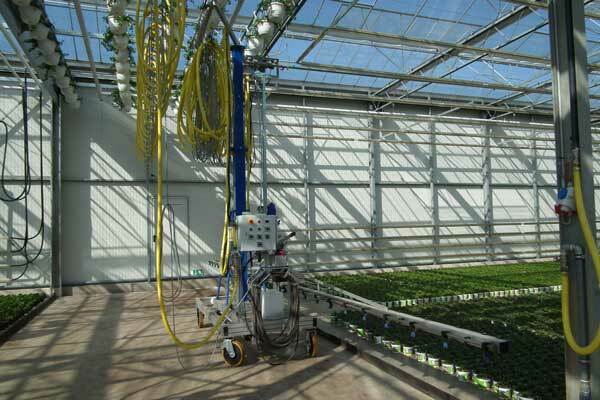 Pesticides can be applied by means of a proportional dosing unit. 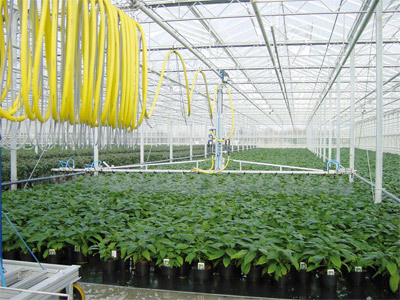 For an efficient and flexible watering operation.